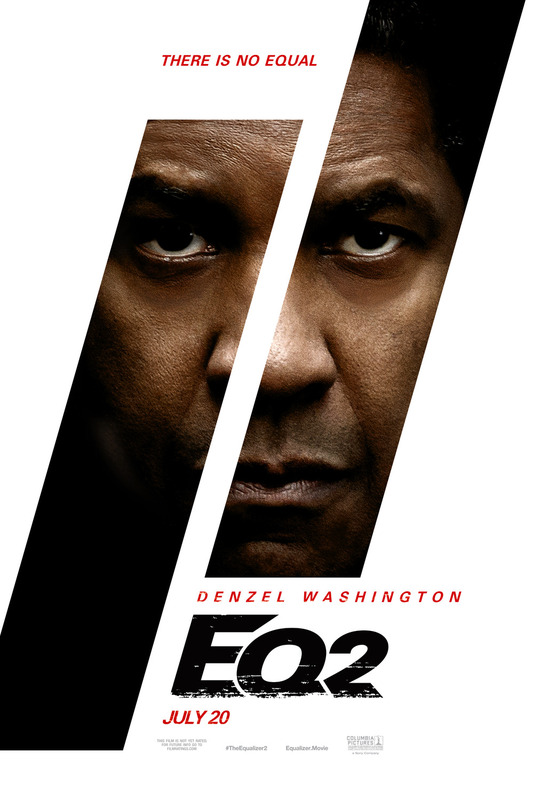 Dearest Blog: Yesterday it was off to Marquee Cinemas for one of my favorite things in this wide world: a new Denzel Washington movie. On the docket: The Equalizer 2. Righting the world's wrongs takes a personal turn for Robert McCall. Well, dear reader(s), I would be remiss indeed if my review of a Denzel Washington movie didn't begin by mentioning just how lucky we are to have Denzel Washington doing what he does. He is one of the world's most gifted actors, and, for my money, Hollywood's greatest and most watchable leading man. However good or bad the movie, there is something incomparably special about him, and I'm pleased to report that The Equalizer 2 gives his talent a surprisingly good workout. The Equalizer 2 boasts plenty of action, with well-choreographed fight scenes playing out against the backdrop of an impending hurricane. The climactic confrontation in the height of the storm is especially exciting. Quieter bits of character development and plot progression occasionally seem a little longer than necessary, but not enough to derail the whole. We may take for granted that Denzel will be extraordinary--and end-to-end he's no less--but The Equalizer 2 features an exchange between him and a young co-star that matches even his (or anyone else's) greatest performances, absolutely chill-inducing. Harry Gregson-Williams' brooding score and phenomenal work by the sound department perfectly compliment the movie's somber tone. If the primary plotline makes its twists a bit too obvious, there's enough greatness surrounding it that it hardly matters. The Equalizer 2 clocks in at two hours on the dot, and is rated R for "brutal violence throughout, language, and some drug content." The Equalizer 2 is a worthy and satisfying follow-up to the original. Of a possible nine Weasleys, the Equalizer 2 gets eight. Fangirl points: Denzel! (Obvs.) My gal Melissa Leo!